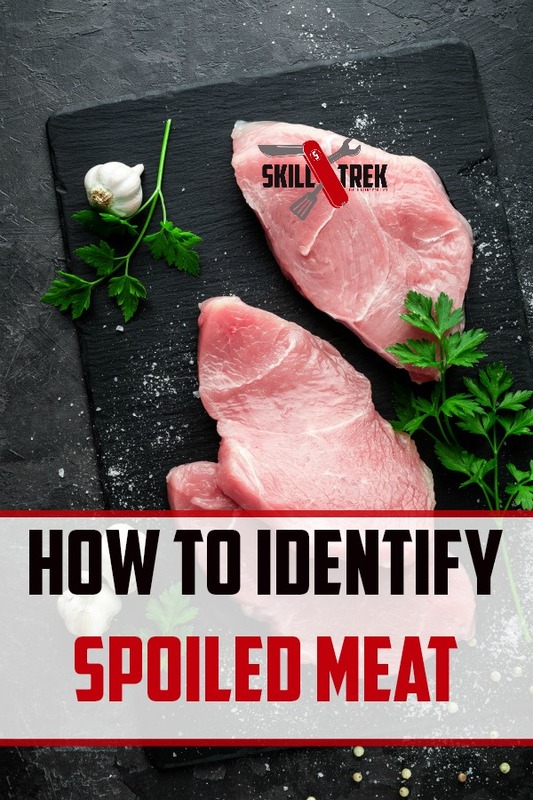 Learning how to spot when meat has spoiled, or ‘gone off’ is crucial in order to prevent food-borne illnesses such as salmonella and E. coli. Meat is considered spoiled when it is no longer fit for human consumption. There are many factors as to why meat may be spoiled, including exposure to air, the presence of micro-organisms (bacteria, yeasts, and moulds)*, and even improper storage conditions. 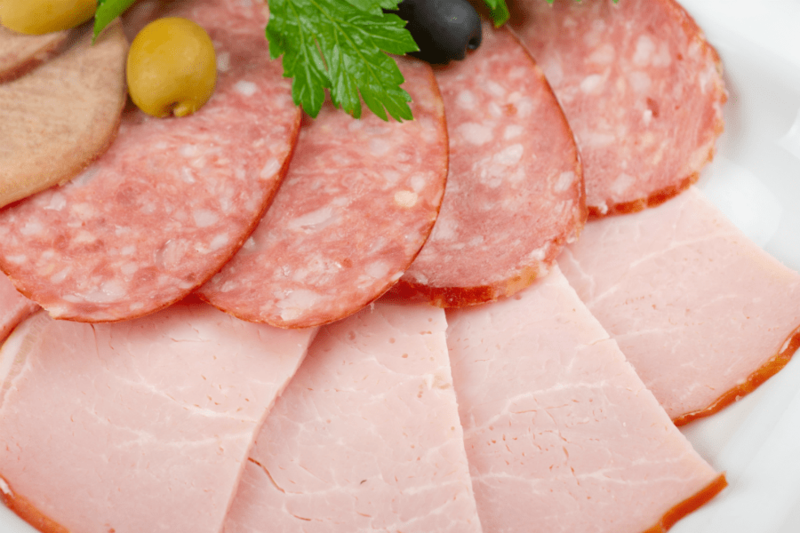 Here are some things to look out for to minimize the risk of eating spoiled meats. Always check the sell by and use by dates on any meat that you buy. You can still safely buy meat that is past its sell by date, as long as it is still within the use by date. If the dates aren’t clearly marked, or the sticker has fallen off, choose another packet. A clear indicator to detect off meat is to smell it. Meat that is well past its best will smell pungent and foul. Most meat and poultry will have a mild odour to them, even when fresh. However, you usually have to get quite close to the meat in order to smell it. If you are met with a strong, unpleasant smell as soon as you open the packaging, or even while the meat in question is still sealed, do not consume it and throw it away. Just because the meat is within date, doesn’t mean it can’t still be spoiled. A good indication to the health of the meat is by simply looking at the colour of it. However, there are many factors that can influence the colours of both meat and poultry which doesn’t necessarily mean it has spoiled. These factors include the age, species and even the diet of the animal. The colour of good raw poultry can vary from blueish-white to yellow. Any green, grey or brown colouration on the meat is a sign that bacteria is present and should be avoided. Raw meats such as beef are typically judged by their red colouration. The brighter and redder the meat, the fresher it is considered. Brown colouration on red meat is a natural occurrence and is often a sign of the age of the meat. Unless the brown colouration is accompanied with a unpleasant odour, the meat is perfectly fine to eat. Another give away to the quality of the meat is the texture of it. Any meat that is sticky and slimy, usually accompanied by a rancid smell, has started to turn and is not safe to eat. When buying meat from a supermarket, always check to make sure the packaging is undamaged before purchasing. Any holes or tears will result in air and other particles getting onto the meat, potentially leading to the growth of bacteria. Also keep an eye out for any packaging that has expanded and feels like it could burst. This is usually a sign that the meat has been left out of the chiller cabinet for quite some time. During this time, the air inside warms up and expands, causing the packet to blow up and feel like it’s about to explode. Another cause is the presence of a bacteria on the meat which is giving off gases, thus expanding the packet. These are just a few tips to help keep you and your family safe. As always, use your best judgement anytime you are purchasing meat. Hopefully, these suggestions can help you identify spoiled meats before they every hit your family dinner table.